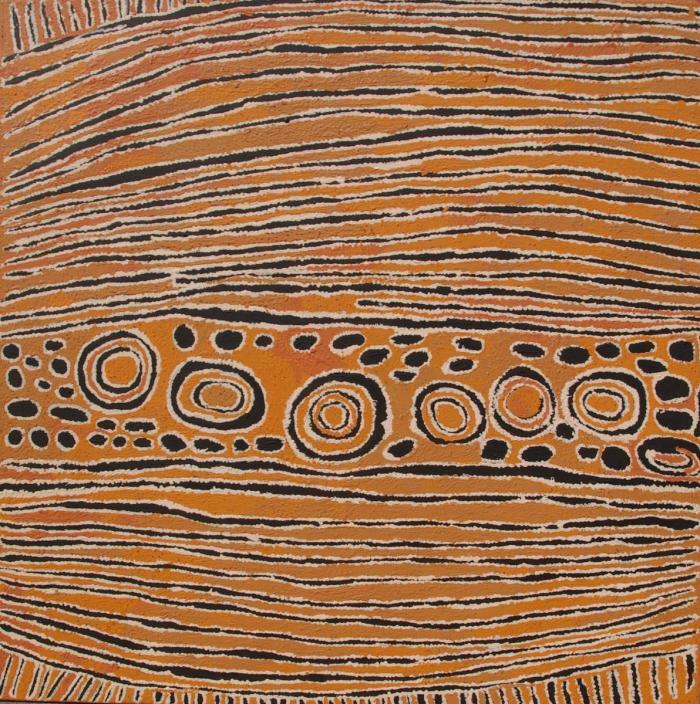 This painting depicts designs associated with the rockhole site of Umari, situated in the sandhill country in Western Australia. 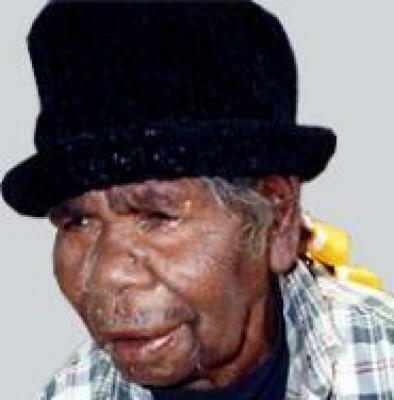 A large group of ancestral Tingari women travelled from Umari to the rockhole site of Pinari, north west of the Kintore community. On their way, the women gathered the edible 'kumparapara' (bush raisin). They can be eaten raw but are sometimes ground into a paste and cooked to form a type of damper. 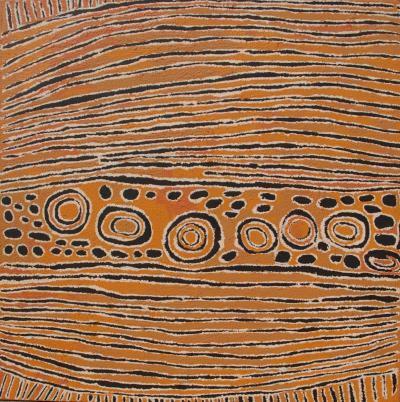 The numerous small circles in this work depict the berries collected. The concentric round shapes present the rockholes at Umari. The parallel lines represent the surrounding tali (sandhills).